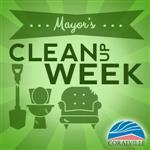 Meetings held at various Coralville Parks and Recreation facilities. Please refer to each month’s agenda for location. The Coralville Parks and Recreation Commission meets on the third Monday of the month (subject to change), with no meeting in February and August unless otherwise determined. Parks and Recreation Commission Meetings are held at various Parks and Recreation facilities based on the meeting topics. For the meeting location, please refer to each month's agenda or call 319.248.1750.